24 January 2019: Danas: Evropska komisija uspostavila monitoring u slučaju ATP"Vojvodina"
14 November 2018: WHAT IS THE PRICE A STATE PAYS FOR ITS LEGAL UNCERTAINTY? 4 June 2018: I want to inform the public about the way in which the Supreme Court of Cassation made an unlawful decision on 9 May 2013 in case of ATP Vojvodina. They made the decision on account of the narco and tobacco mafia which, together with certain interest groups in Serbia, wants to take away my funds. They are trying to impose the decision on the other courts, thus making them make the decisions not in accordance with the law but in accordance with the court practice which is not the source of law! 28 May 2018: The Commercial Court judges say that they have judged in accordance with their own conscience and without pressure! 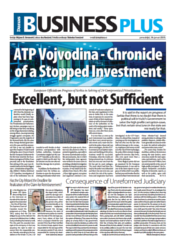 7 May 2018: The case of ATP Vojvodina is the best example why the European Council (GRECO) initiated the procedure against Serbia because of non-implementation of struggle against corruption among parliamentarians, judges and prosecutors. 23 April 2018: The Commercial Court in Novi Sad, in Agreement with Credit Agricole Bank in Serbia has been Procrastinating the Court Case on the Temporary Measure! 19 February 2018: I am making the public complaint to the judgement made by the Higher Court in Novi Sad - I demand lawful and fair trial! 29 September 2017; Press Release and Complaint to High Judicial Council! 28 August 2017; THE WAY IN WHICH CREDIT AGRICOLE BANK IN SERBIA IS TREATING ITS BIGGEST CLIENT AND THE WAY IN WHICH ITS EMPLOYEES ARE RUINING ITS REPUTATION! 12 December 2016: Proposal given by Tomislav Nikolić, the President of the Republic of Serbia, for appointment of Snežana Marković as the Constitutional Court judge, as a form of paying back the debt relating doing the job given by political order in the case of ATP Vojvodina. 30 March 2016 Danas: Who Has Suffered the Damage? 20 March, 2015, Although Serbia has been preparing for opening the Chapter 23 - Rule of Law, there is still political pressure on judiciary in Serbia!!! The Resolution on Serbia for this year was adopted before the European Parliament Foreign Political Committee on 24 February, 2015, while the EP Rersolution adopted in 2012 is not respected at all, and the state of Serbia has been preparing for opening the Chapter 23 on Rule of Law!!! 9 December,2014 – criminal charge filed to the Republic Public Prosecutor’s Office and the Higher Public Prosecutor’s Office in Novi Sad against Maja Gojković-former Mayor of the City of Novi Sad,Zoran Vučević-former President of the Assembly of the City of Novi Sad,Aleksandar Jeftić-former Director for Urbanism, Igor Mirović-former Director of the Institute for City Development,Biljana Grbović-Head of the City Department for the Inspection Affairs,Vladimir Stojković- former Head of the City Traffic and Roads Department,Vučeta Tošković- former member of the City Council for Traffic, Lidija Tadić – former City Secretary for Management and Regulations,Danica Vignjević- former member of the City Council for the Communal Service and Dejan Mandić – former member of the City Council for Finance. 9 December,2014 – criminal charges filed to the Republic Public Prosecutor’s Office and the Basic Public Prosecutor’s Office in Novi Sad against Miloš Vučević- Mayor of the City of Novi Sad, Mirjana Dukić-Mijatović- President of the Expert Team, Miroje Jovanović- member of the Expert Team, Milan Djukić- member of the Expert Team, Saša Došen- member of the Expert Team, Rajko Marinković- member of the Expert Team, Aleksandar Bojkov- member of the Expert Team, Milorad Bejatović- member of the Expert Team and Zvezdan Živanov- member of the Expert Team. 11 August, 2014, RTV: Condition of the European Commission and the case of ATP \"Vojvodina\"
7 June 2014, The Commercial Court from Novi Sad has said in its judgement P 287/2013 that the contract between ATP Vojvodina and the City of Novi Sad is not null and void!! 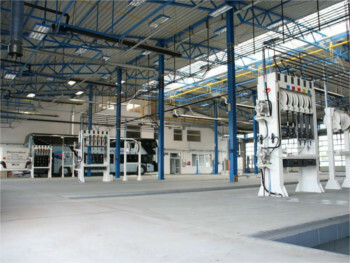 ATP“Vojvodina“ is on the list of 24 controversial privatiations solving of which is demanded by the European Commission in Brussels, based on the report submitted by the Anti-Corruption Council. 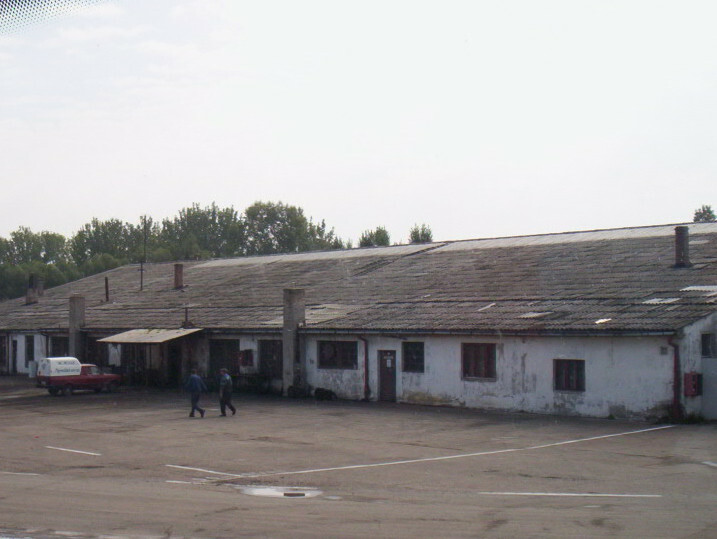 ATP“Vojodina“ has been especially emphasized in the report as the only case in which the investor is the one suffering damage. 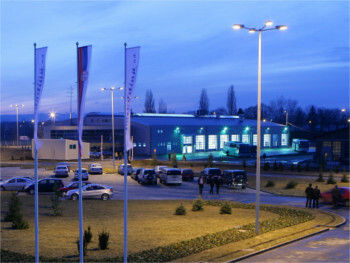 Ilija Dević is one of the most succesful private businessmen not only in Serbia, but also in ex SFRY. 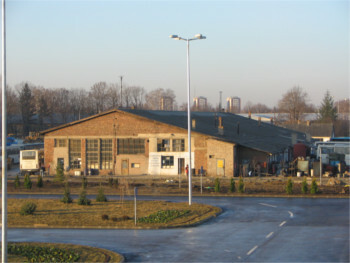 From 1974 until completion of 30 million Euros worth ATP“Vojvodina“ investment in 2006, he enlarged his fund as a domestic investor without political background. 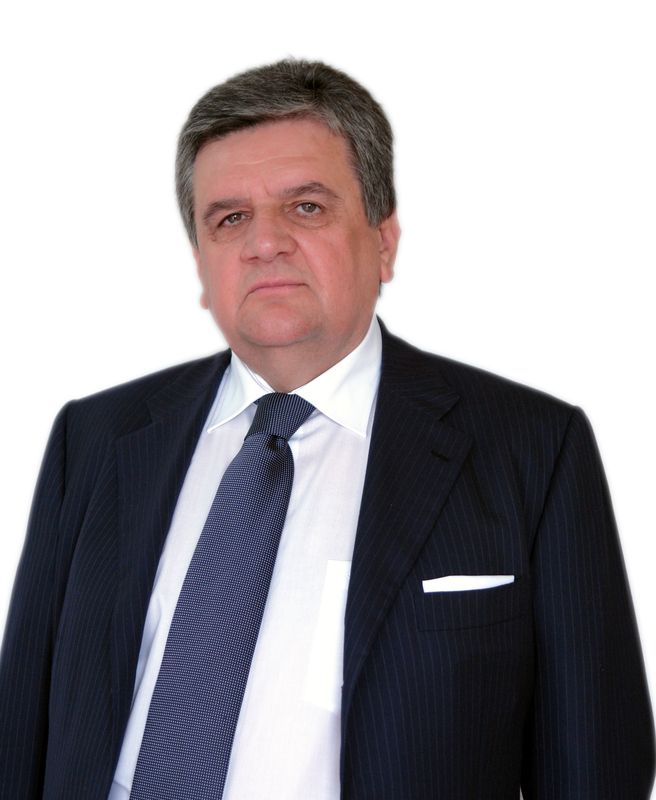 Ilija Dević has exclusively invested through Serbian craftshops, Serbian commercial companies, but not through the companies from the tax relating paradise islands. 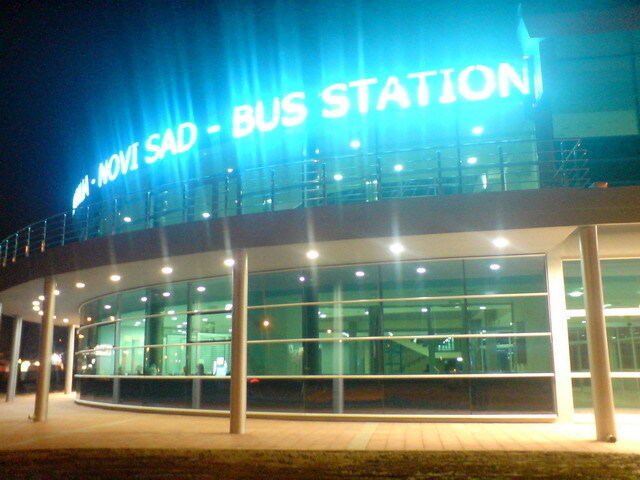 In spite of that, political criminal band wanted to destroy him and, in that process, he was left without protection of his own country..
ATP“Vojvodina“ and the intervener Ilija Dević , got the lawsuit against the City of Novi Sad since the City did not coply with the contract concluded on construction of the intercity bus station; the lawsuit was got exclusively by merit of Ilije Devića and his team. He has still been taking civil procedures against the City of Novi Sad for personal damage, because he invested 30 million Euros into ATP“Vojvodina and he also guaranteed for all the obligations with the business banks with his personal property. After getting the lawsuit, instead of making the City of Novi Sad fulfill its obligations and taking the judgement brought by the Court of Appellate as the basis for the final solving of the problem, the Procecutor’s Office filed the criminal charge against Dević. 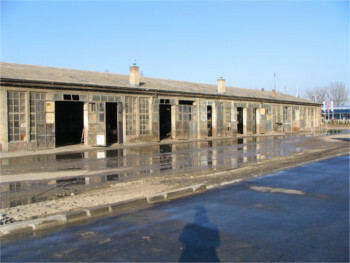 The charge was based on the documents which were at the police of Novi Sad disposal even from 2006 but it was not processed because there was no legal basis for that. The constructed charge was used by the Prosecutor’s Office as the basis for making decision on Dević’s detention. Taking up the slogan the public is the best protection, on this site we are presenting history of Ilija Dević as a businessman and investor in the state of Serbia since 1974, chronolgy of the case of ATP“Vojvodina“, entire documentation to be viewed, the documents relating the proceedings against the City of Novi Sad, constitutional complaint to the judgement brought by the Higher Cassational Court, criminal charges filed by Ilija Dević (For which it is not known if they have been dropped,if they have been processed,if any investigations have been started or if any charges have been brought ) and the criminal proceedings against Ilija Dević. 14 December, 2014. the program THE ATTITUDE OF SERBIA (STAV SRBIJE) – What is corruption?